The hour-long talk Travel with Rick Steves features guest experts, calls and questions from travelers. Steves' goal is to share favorite travels, to help us all explore our world smartly, smoothly, and thoughtfully. As host, writer and producer of the popular public television series Rick Steves' Europe, and best-selling author of 30 European travel books, Rick Steves encourages Americans to delve deep into Europe and become “temporary locals.” His readers and viewers not only discover major cities, but also cozy villages away from tourist-trampled routes. He helps American travelers connect much more intimately and authentically with Europe — and Europeans — for a fraction of what mainstream tourists pay. 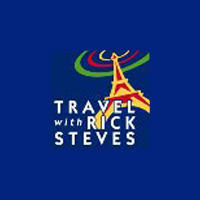 His website, ricksteves.com, includes a community of travelers who share tips and travel discoveries. It also has a form to ask Rick a question. As they record each show, they’ll call many of those who have asked a question. He also reads from emails or plays recorded telephone messages on the air.